← Finders keepers or imprisonment? On the 8th of August, 1969, four famous men – John Lennon, Paul McCartney, George Harrison and Ringo Starr of The Beatles walked across a zebra crossing on Abbey Road in London to shoot the cover of their penultimate album titled Abbey Road. 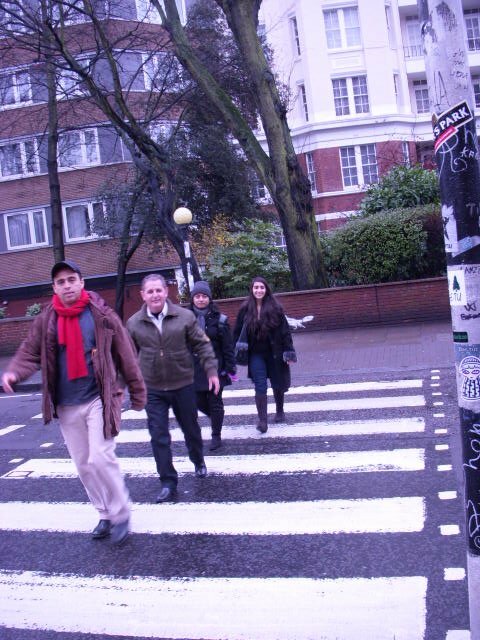 Since then, Beatles fans from all over the world flock to Abbey Road to walk across the zebra crossing just like the Beatles did. Ever since the Beatles immortalised the pedestrian crossing in front of EMI studios on the cover of the 1969 album, over one hundred and fifty thousand (150,000) people make a pilgrimage to this famous Beatles site in London each year. This number was estimated in 2005 by EMI studios now renamed as Abbey Road studios. Due to its popularity, the crossing was given Grade II Listed Building status by the English heritage in December 2010. The pedestrian crossing has a speed limit of 30 miles per hour and has witnessed 22 deaths since the year 2000. This has attracted the attention to the councillors of the City of Westminster who are planning to relocate the crossing over fears that the number of people posing for photographs in the middle of the road is causing accidents and holding up traffic. “You cannot come to London and not do Abbey Road,” says Hannah Achen from Germany. “I think this road should have no traffic. We love The Beatles and Abbey Road is the greatest album,” adds Wendy Afonso from Poland. I stood at the zebra crossing on Abbey Road and observed fans as they attempt to recreate the cover of The Beatles album Abbey Road. They were causing chaos. Sam Williams from Tennessee, USA came to London with three friends and enacted the Beatles album cover. He said, “We are from Tennessee, United States. We actually just got into London today. We came here because the Beatles were here and yes I did enact Paul McCartney.” “We came to Abbey Road because its famous and we wanted to be here and have a look what it was like and of course take a picture,” adds Maria Brown. Frank Nowak, a photographer who takes pictures of the Beatles fans on Abbey Road. “I come here almost everyday and I ask tourists if they want to take private pictures. I try to stand in the middle of the road and take pictures when there is less traffic,” says Frank. The crazy things fans do. “The craziest thing a fan has done so far that I have taken a picture of is a wedding scene, the Royal Family and a naked man,” says Frank, a photographer at Abbey Road. Richard Porter is the owner of the Beatles Coffee Shop and a Beatles expert who does the Beatles walking tours. “Some fans forget about the cars and they see people standing in the middle of the road taking a picture, which is not a good idea,” said Richard. “The first time I did the tour, I had these guys from East Germany. The place they wanted to see the most was Abbey Road and when they saw the crossing, they were overcome and burst into tears. I have seen people going down their hand and kneeled and kissing the crossing in the middle of the road,” he added. The Beatles recorded almost all of their albums and singles at Abbey Road studios between the years 1962 and 1970. In August 2010, Abbey Road studios installed a high definition camera that streams live footage of the Abbey Road zebra crossing on its website. The footage shows the dangerous lengths Beatles fans go to just to imitate the 1969 album cover and get the perfect picture just like the one clicked by photographer Iain Macmillan. “Watching images from the camera is fun. 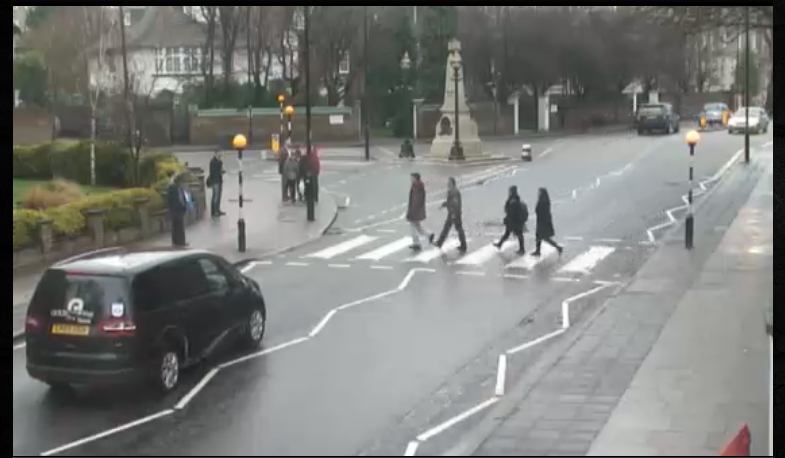 It shows people on the crossing and it gets people to the Abbey Road Studios website as well. People over the world watch the webcam,” says Richard Porter, owner of the Beatles Coffee Shop and a Beatles expert. Some residents and motorists have expressed their concerns about fans creating a ruckus in the area. “I’ve been driving up and down the Abbey Road since 18 months now. It is annoying. All the fans do is pose on the crossing. There is somebody who is going to get knocked down one of these days,” says Damien, a Taxi driver. “I have been living here for 23 years in this block on the left. We find it’s a great problem for as they tend to damage our property,” says Martin Brown, a resident. “This is a zebra crossing and it is by law that motorists have to stop. Many tourists and fans ask us if we know where Paul McCartney lives and what his address is. But we say we don’t know,” says Nicola Johnson. “I find it is quite bad for the driver because it is dangerous. I think if they just step on the pavement and take some photographs it’s OK but not keep crossing and wait in the middle of the road. It’s very dangerous,” says Kiki Ling. It is a tradition for Beatles fans to pay homage to the band by writing on the walls of Abbey Road studios where the Beatles and many other famous artists have recorded their albums. The wall containing the fan graffiti is painted regularly. “The graffiti on the walls of the studio is ugly and spoiling the area,” says Martin Brown. The Beatles no longer exist but 41 years after the release of the album, their legacy still lives on. This pedestrian crossing looks just like any ordinary crossing but remains as popular as ever with fans continuing to risk their lives to capture the ideal photograph.